In sausage production, many factors play an important role – from hygiene to productivity. The TT1815 is an automatic double clipper which easily meets all requirements and offers high flexibility thanks to its wide caliber range. Thanks to its modern double clipping mechanism, the compact TT1815 (formerly Swipper 18/15) closes each sausage portion cleanly, precisely and without meat residue in the ends of the sausages. It can be loaded with all familiar plastic, fibrous and collagen casings in the caliber range 35–140 mm and has a number of cycles of up to 130 portions/minute. 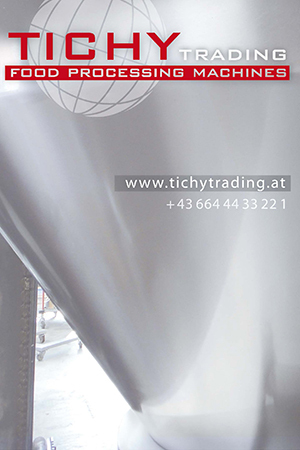 Its areas of application therefore range from sausage production to packaging of semi-finished confectionery, cheese, soups and non-food products. With “NewCon”, the TT1815 also has innovative, electronic clip closure force monitoring. 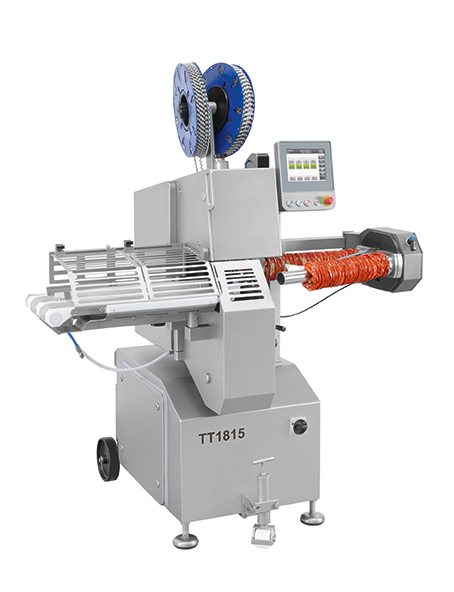 It ensures tight, reproducible closure and stops the machine in the event of foreign bodies in the clipping area. The double clipper also meets the highest expectations in terms of hygiene: the complete machine consists of individual stainless steel components. Smooth surfaces and surfaces inclined by three degrees ensure fast, thorough cleaning. The high degree of user-friendliness is especially impressive. The machine is operated via a design-oriented touch screen. All production functions can be activated quickly and easily at the touch of a button and the parameters for cleaning position, knife and tool change called up. Icons and texts, if required in the language of the country, guide the user through the easy-to-understand menu. The TT1815’s little brother, the automatic double clipper TT1512, is just as flexible and user-friendly. It closes all casings in the caliber range 20–80 mm and is characterized by its high speeds of up to 200 portions per minute.